babus of india: Chemistry or Maths: What works in favour of cabinet secretary Ajit K Seth to remain at top? Chemistry or Maths: What works in favour of cabinet secretary Ajit K Seth to remain at top? tracked the corridors closely know it well, Seth was not UPA’s first choice to be the country’s top bureaucrat. It was Pulok Chatterji, Seth’s batch-mate in IAS and the only bureaucrat who had direct access to UPA chairperson Sonia Gandhi, was tipped to become the cabinet secretary after KM Chandrasekhar’s four-year-long innings. But the government in 2011, under fire for appointing KV Thomas as Central Vigilance Commissioner, did not want to take any more risk as Chatterji was far below in the seniority list of 1974 batch IAS officers who were still serving then. Seth was the senior most bureaucrat then, and the government avoided a row by simply appointing him as the cabinet secretary. 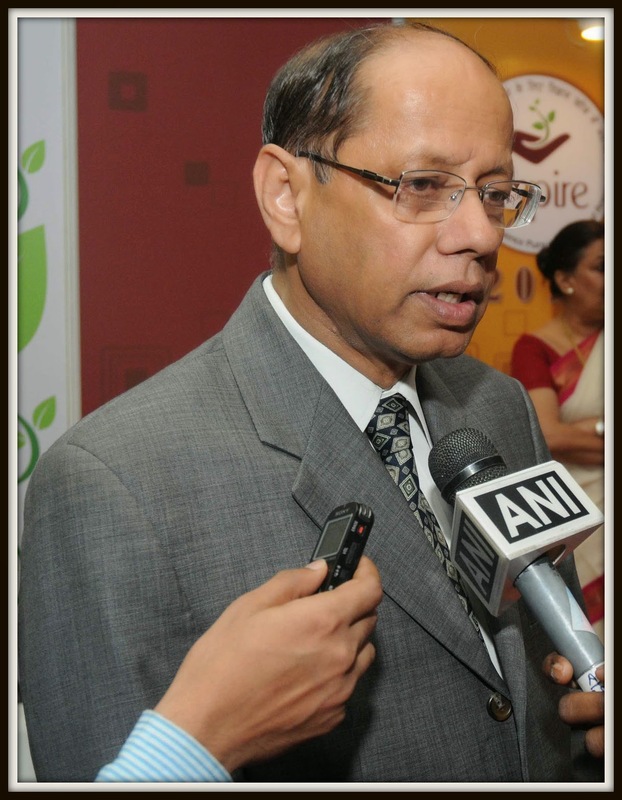 Chatterji, who was then executive director in the World Bank, was recalled from Washington DC mid-way to take charge as principal secretary to PM. Manmohan Singh’s confidant TKA Nair was side-lined as he was to be adjusted as adviser to PM, a newly created insignificant post. When Seth’s appointment as India’s cabinet secretary was announced in May 2011, BoI wrote: “When all powerful man in PMO Pulok Chatterji dictated terms in Raisina Hills during UPA-I, his batch-mate from the same UP cadre Ajit Kumar Seth was the resident commissioner in New Delhi’s Uttar Pradesh Bhawan. Seth had a higher rank in 1974 batch IAS merit list, but no one even bothered to bet on Seth that this man from UP might one day snap the country’s top bureaucratic job. For six long years, Seth -- known for his honesty and meticulous work -- remained a mere resident commissioner in UP Bhawan. Finally, he got the break when he was appointed as secretary, coordination and public grievances in cabinet secretariat in January, 2009. And the rest is history now…”. And in 2013, when Seth got one year extension, there was hardly a surprising element. As BoI wrote then: “Low-profile bureaucrat who studied chemistry in St Stephen’s college in early 1970s has maintained an excellent rapport with Pulok Chatterji, the man who matters in the corridors.” The then Prime Minister was also averse to experimenting with a new man to head India’s bureaucracy in the election year. Then on May 26 this year, when Narendra Modi took charge as prime minister, everybody started guessing who all could be the key contenders for the coveted post of cabinet secretary. But the new PM surprised everyone when Seth was given a six-month extension till December 13, 2014. According to BoI's analysis, Seth was retained at the top to bring in some kind of continuity to the system. “It’s Seth, not Nripendra Misra, who knows the strength and weaknesses of each of the current union secretary. And prime minister Modi may ask for Seth’s frank assessment of each of the secretary before undertaking a bureaucratic reshuffle at the Centre,” BoI wrote in a post dated June 3, 2014. Apart from being a post-graduate in chemistry, Seth has a master’s degree in development finance from Britain’s University of Birmingham. In IAS, Seth had worked in the ministry of textiles, and in 1980s, he was the first secretary in Permanent Mission of India to the United Nations. So, what could be the logic behind Modi’s decision to give Seth yet another extension when the PMO had a firm grip on bureaucracy now? Some say, PM wants to get rid of senior bureaucrats before zeroing in the next cabinet secretary. But that’s definitely not the case, as 1977 batch IAS officers such as power secretary PK Sinha and secretary of the department of administrative reforms and public grievances Alok Rawat would retire only in July 2015, thereby allowing them to be in the race next year too. So, it’s definitely not maths that helped Seth getting two extensions under the new regime. Probably, PM has found in Seth the traits of an ideal cabinet secretary: highly low profile, meticulous, no media exposure and the one who adjusts well with Mishra square: principal secretary to PM Nripendra Misra and additional principal secretary to PM PK Mishra. Is not this good chemistry? Modi Sarkar will be one-year-old when Seth’s successor is to be picked up next year. And it must not surprise anyone if PM hand-picks someone as junior as of 1979 or even 1980 batch of IAS! Actually it is TINA factor at work. There is no alternative. Seth is the Manmohan Singh of Indian Babudom. Please do not forget he has presided over the most corrupt Bureaucracy. It was during his time so many corruption scandals took place. Seth is non descripit and has zero personality. He has no opinion and hence offends no one. He initials files and carries out whatever id ordered and hence no question of any disagreement or dissent note. He goes with the flow and maintains a distance from the work he handles and not get personally involved. Only a competent Politician will have the guts to have a strong Secretary. Tell me who will wants to have an officer who is capable and able to challenge any wrong. A bureaucrat should be able to take cudgels on behalf of the people of India if their interests are jeopardized. Secretaries dont take a stand. Mujhe kya, Mera kya is the refrain. Seth fits in with today's system. No surprise if he is getting an extension. The Indian Civil Service has failed itself. A 5000 odd cadre of Indian Administrative Service and it is like searching for needle in haystack when it comes to finding replacement for Cabinet Secretary post. This is fit reason to abolish IAS. Let Modi appoint some one from private sector as Cabinet secretary. He will do a better job. I fully agree with the view that Mr Seth is selected not for any competence or capabilty, but because of his non decisive and slow attitudes.No wonder top level appointments as well as several key initiatives are not materialising. India needs strong independent minded persons to head premier positions like in the developed world where top positions are held by eminent professionals and experts.The IAS is nothing but a symbol of our underdeveloped status.We expect our strong PM to take a bold initiative and appoint only experts at top positions so that our country can turn into a truly developed democracy. Kurien the milkman pointed his experience of bureaucrats; the Mondal and fast track jobs failed to atttract talent of late. Let us burry it for better. It can happen in Modi's time.